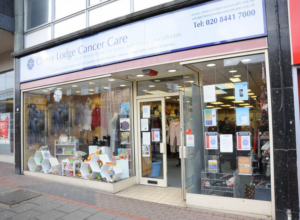 By donating or buying items, or by volunteering to work in our shop in Church Passage, Barnet you can help us continue to provide our much needed range of services free of charge to people affected by cancer. 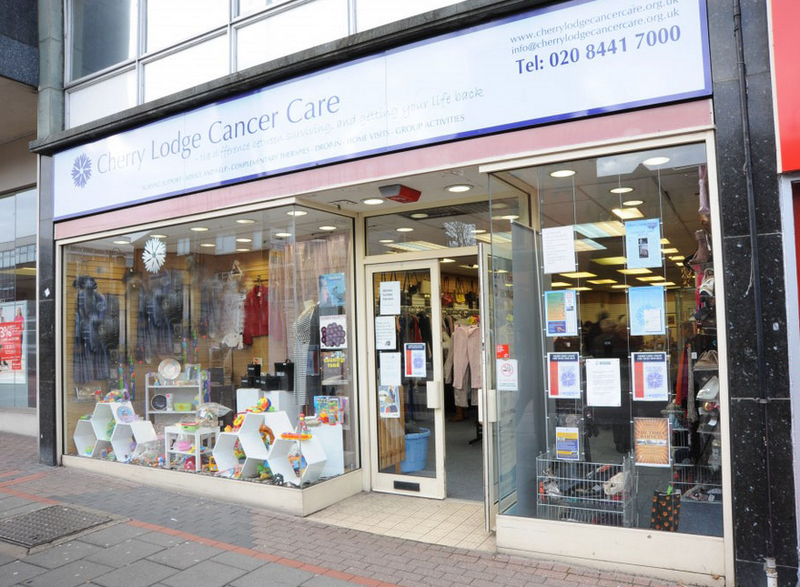 Location: The shop is in the passage that links Wood Street to Barnet High Street, alongside Barnet Church Garden. Parking: The nearest public car park is at the Spires Shopping Centre (reasonable charges). On-street parking is possible in the High Street (maximum 1 hour) free for Blue Badge holders, or on payment at a Pay & Display machine or by mobile phone. Urgently needed goods: We accept and sell a wide range of goods but are currently particularly looking for: SHOES and HANDBAGS. 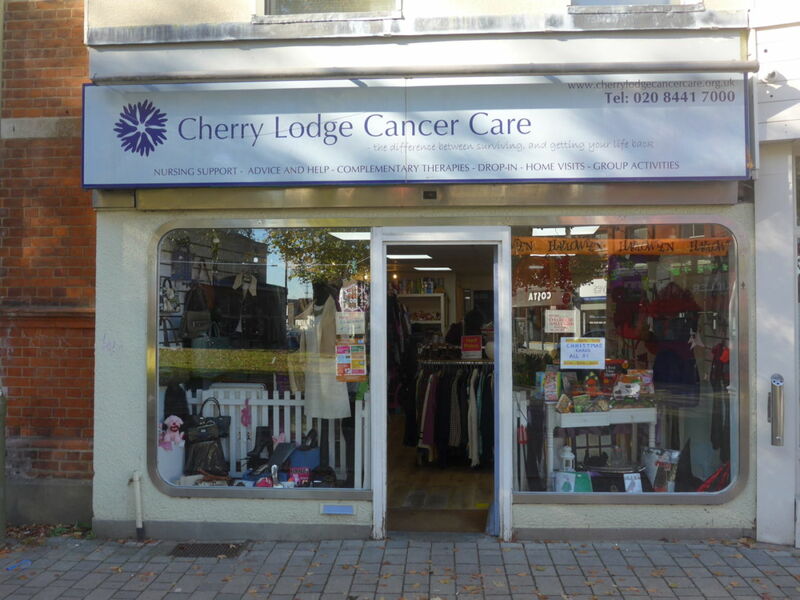 CLOSED FOR BUSINESS: The Cherry Lodge shop in Borehamwood is now sadly closed due to the expiry of our lease on 24th March 2019. 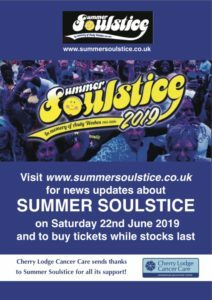 Thank you very much indeed to shop manager, Daryl Forster, and assistant manager, Terry Forster, and their many volunteers who have worked so loyally for us. Thank you, too, to everyone who has donated or bought goods. 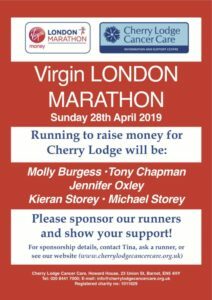 The money raised over the last seven years has been an important source of income for Cherry Lodge, helping us to provide our much needed, free information and support services for people affected by cancer. By asking our donors to register for Gift Aid, we can claim an additional 25p in the £1 on all items sold in the shop. If you agree, and are a UK taxpayer, you will be given a donor card, bearing your name and a number, to present at the shop each time you make a donation. At the end of the year, you will receive notification of the amount of money your goods have raised. Over the year, this extra money from Gift Aid really makes a difference to our shop takings.